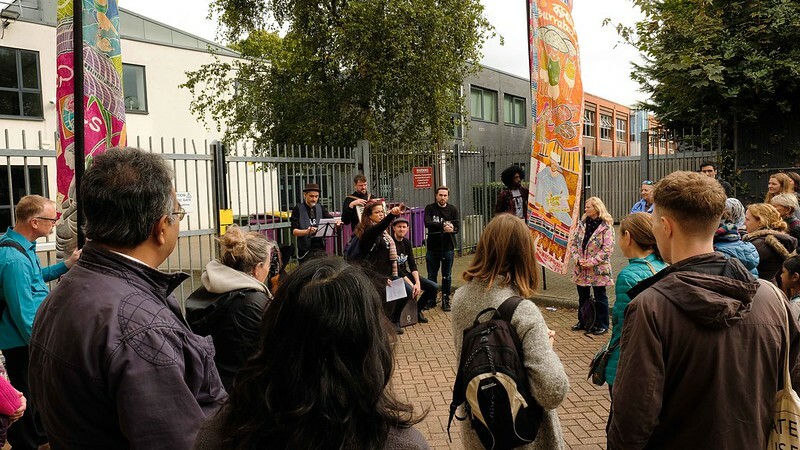 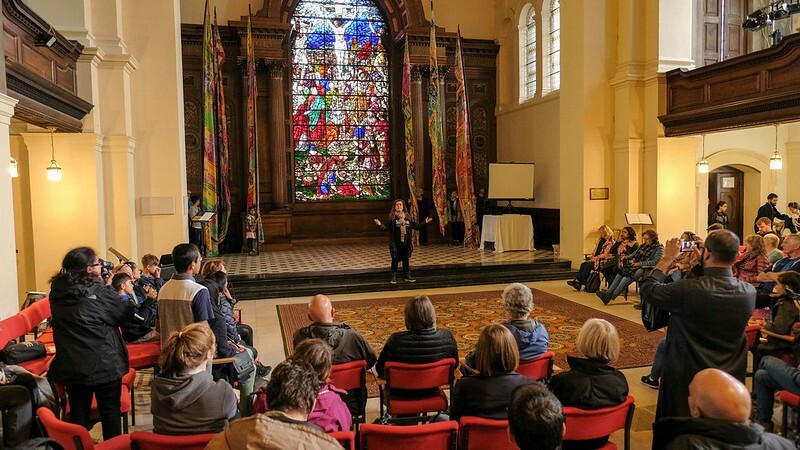 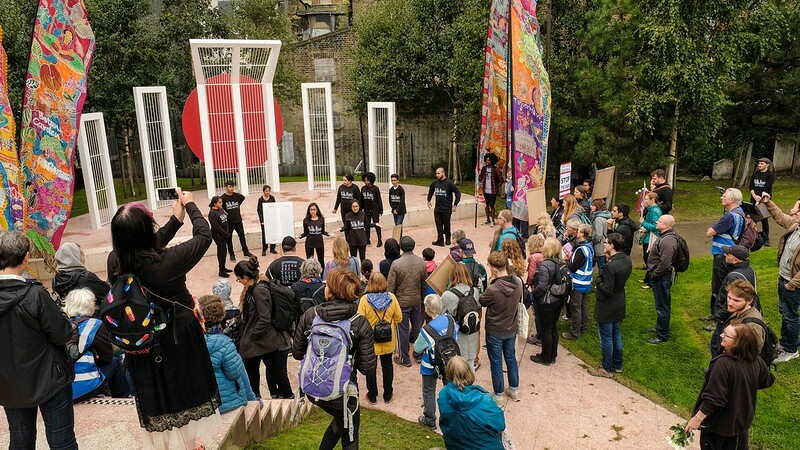 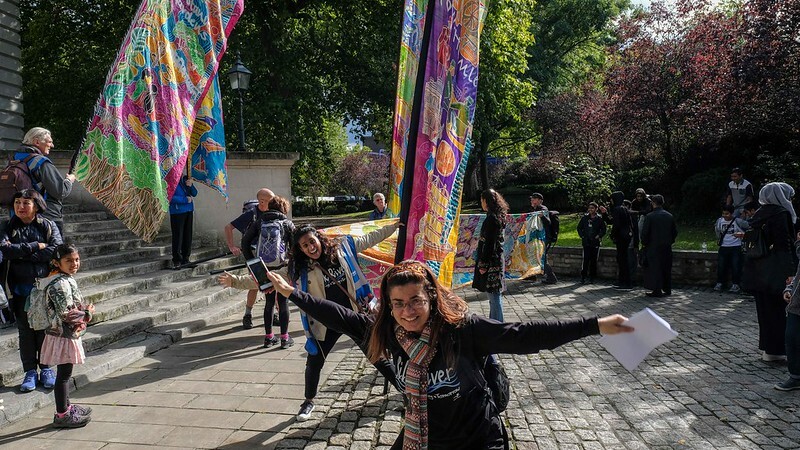 Follow the silk trail in Tower Hamlets and join the Council’s ‘A’ Team Arts for a day of performances at six historic locations. 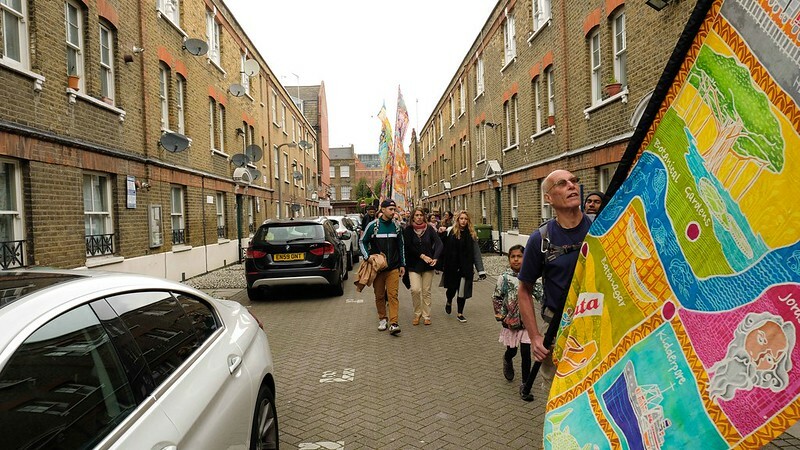 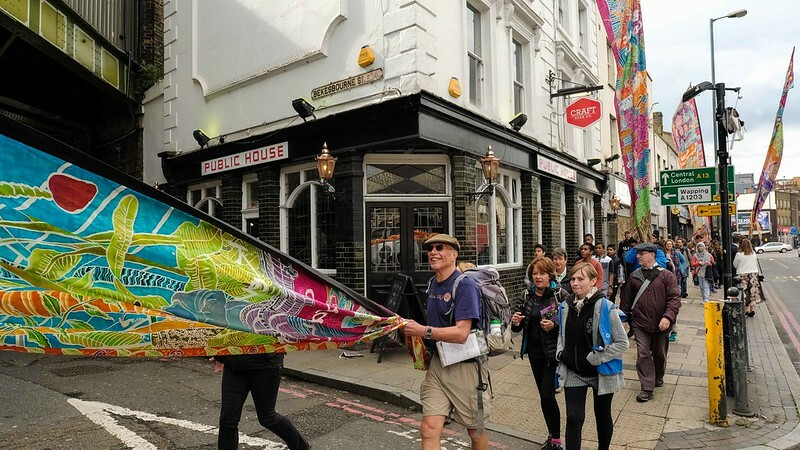 We trace the footsteps of migrant Huguenot silk weavers through the grand houses in Fournier St, past the rag traders in Brick Lane and on to the park dedicated to the memory of Altab Ali – a symbol of the anti-racism movement. 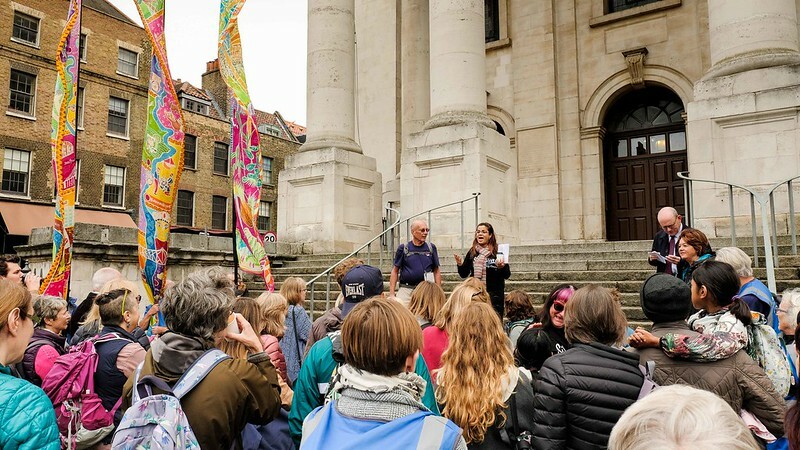 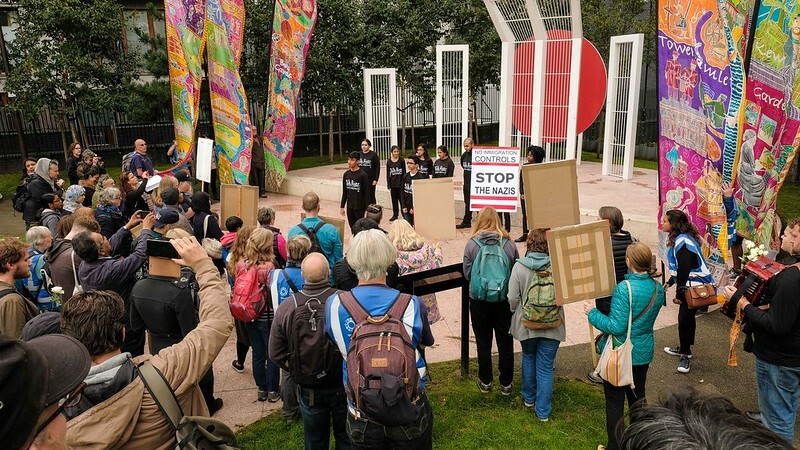 At the site of the “Strangers’ Home” learn about the lives of the East India Company lascars and their protests, and visit the church of the East India Company. 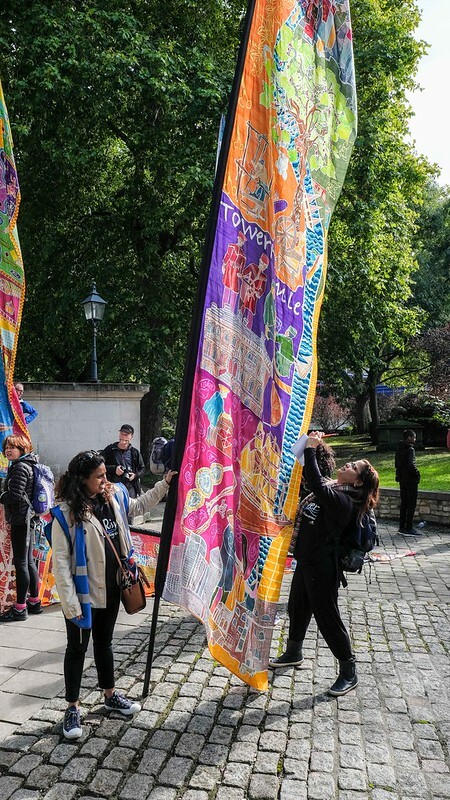 We will weave their stories together through textiles, and performances from today’s younger generation of these aspirational communities. 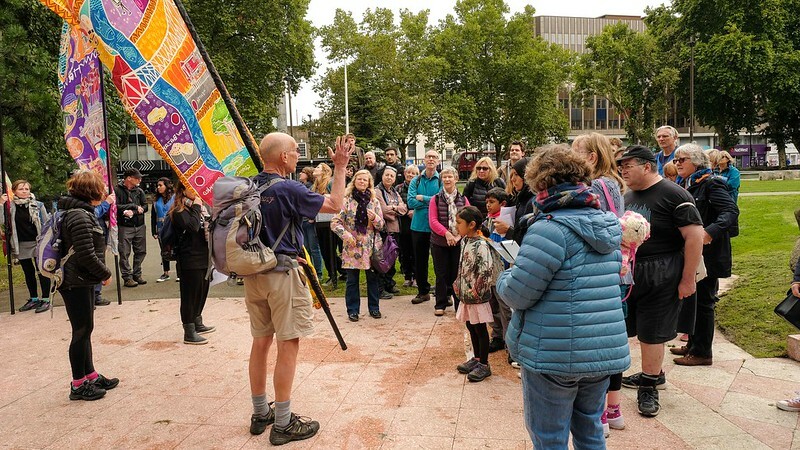 Technical difficulty of walk: Moderate. 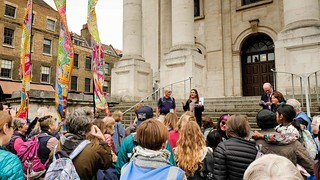 09.30 Start at Christ Church, Commercial Street, Spitalfields E1 6LY. 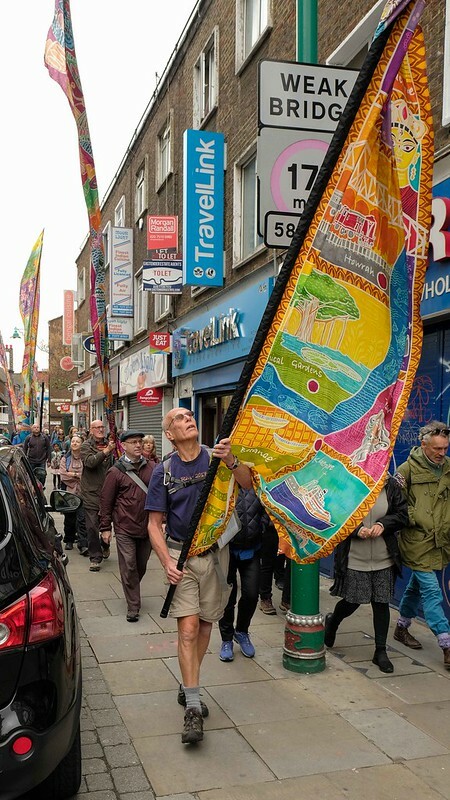 13.15 – 14.15 Lunch at St Anne’s Church, Commercial Road, Limehouse. 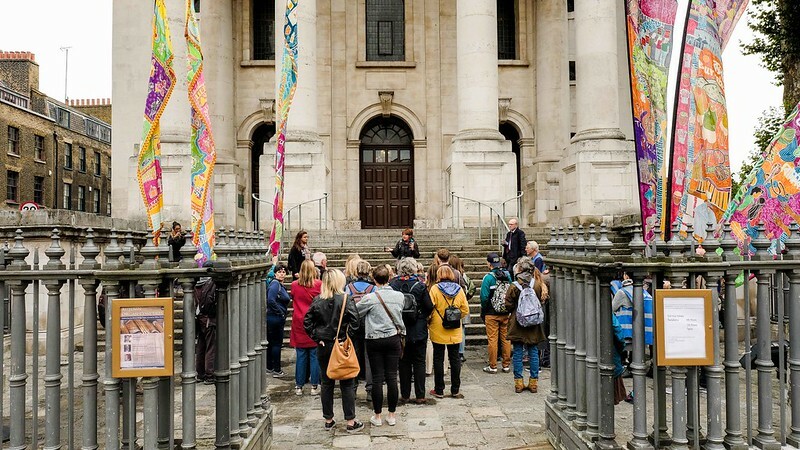 You may wish to take a local bus from Mulberry School to St Anne’s Church. 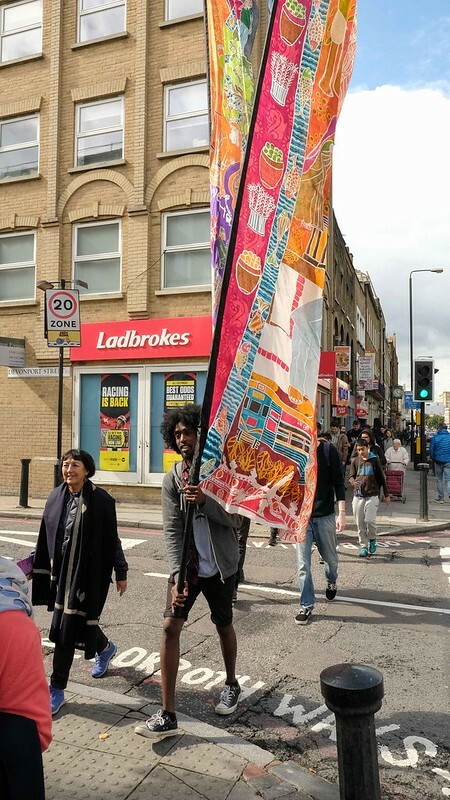 Lunch is not provided, please bring a picnic. 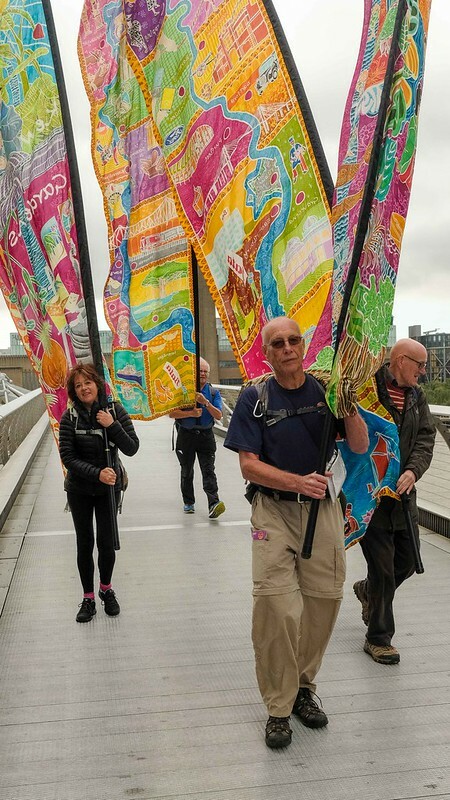 17.00 Finish at Museum of London Docklands. 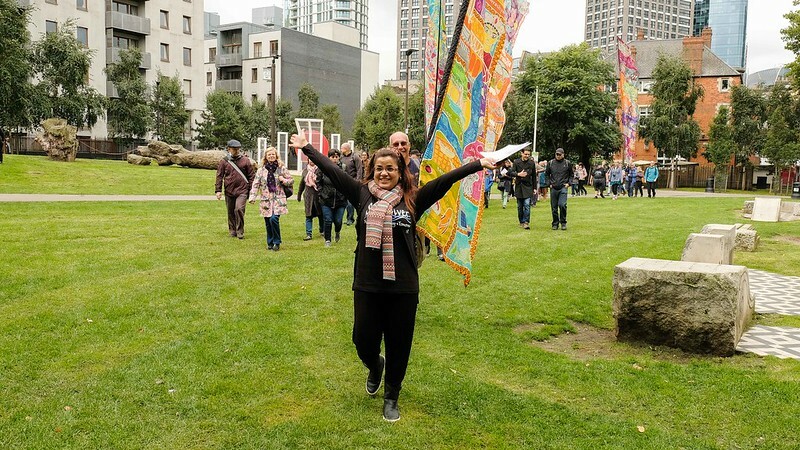 Special thanks go to Tower Hamlets Council, ‘A’ Team Arts, their staff and partners for the planning and facilitation of today’s walk. 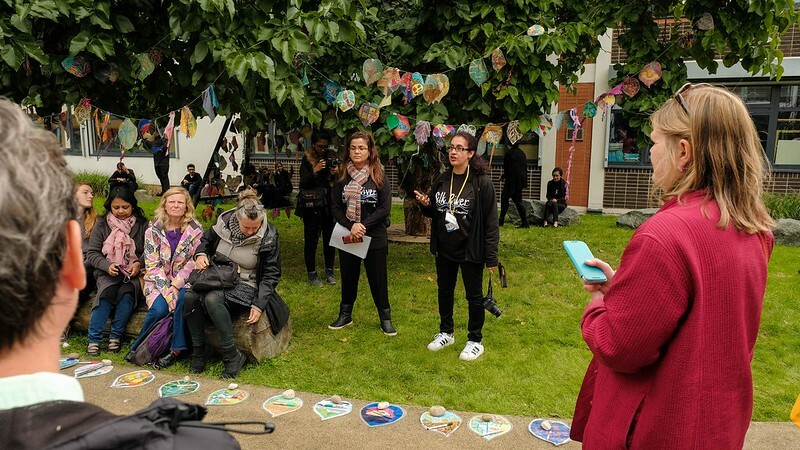 Tower Hamlets’ youth arts provider, ‘A’ Team Arts, has been working with young people in the borough for 38 years. 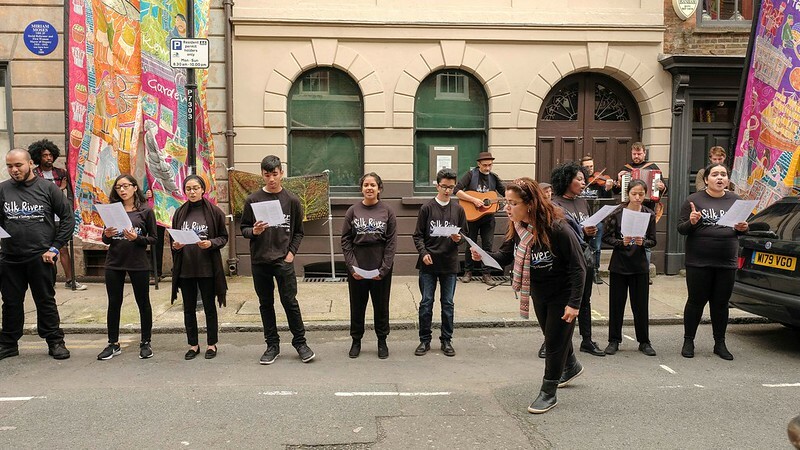 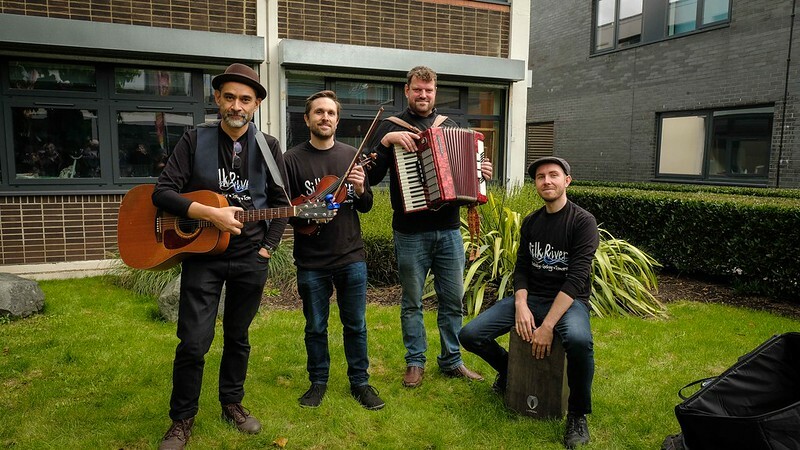 They employ specialist tutors in all art forms and run regular youth arts sessions at their base at the Brady Arts Centre in Whitechapel, as well as in other youth settings across the borough. 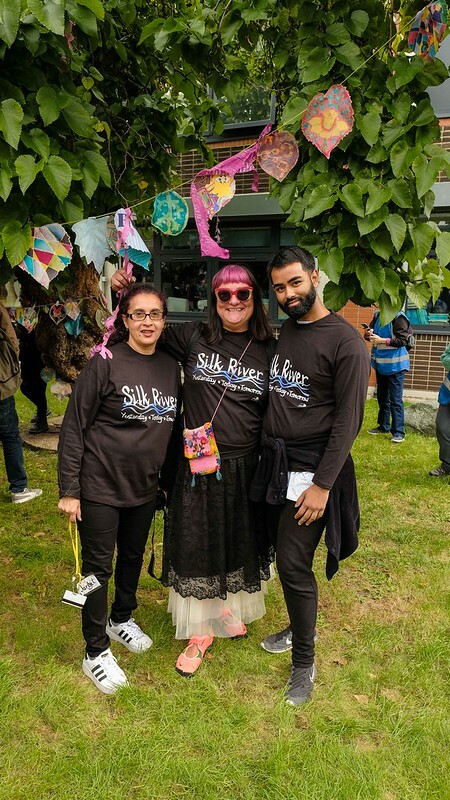 ‘A’ Team Arts admires the ambition of the Silk River project and think it will be a way for the participants to learn about their heritage, to mix with other people from different faiths and ethnicities, as well as learning a new skill and developing themselves as artists. 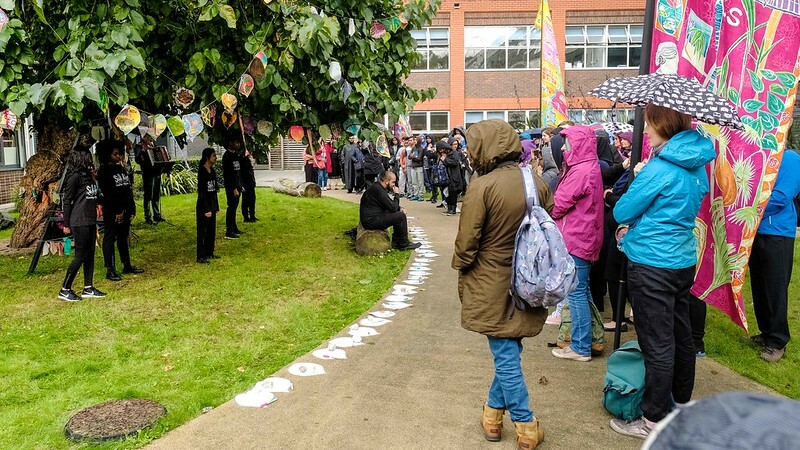 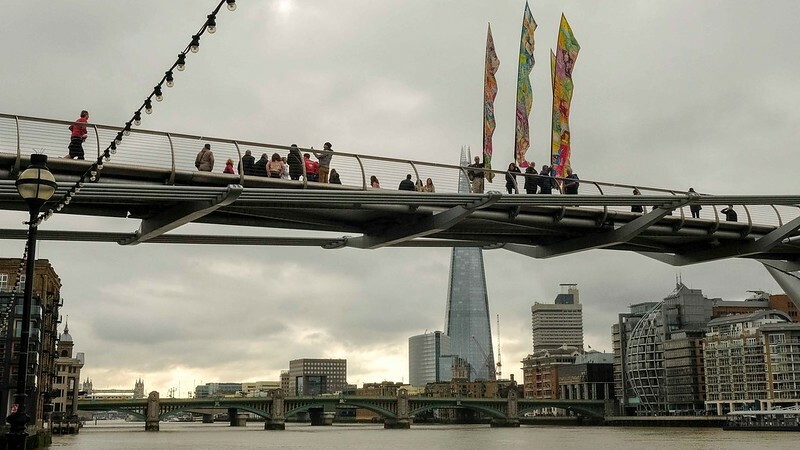 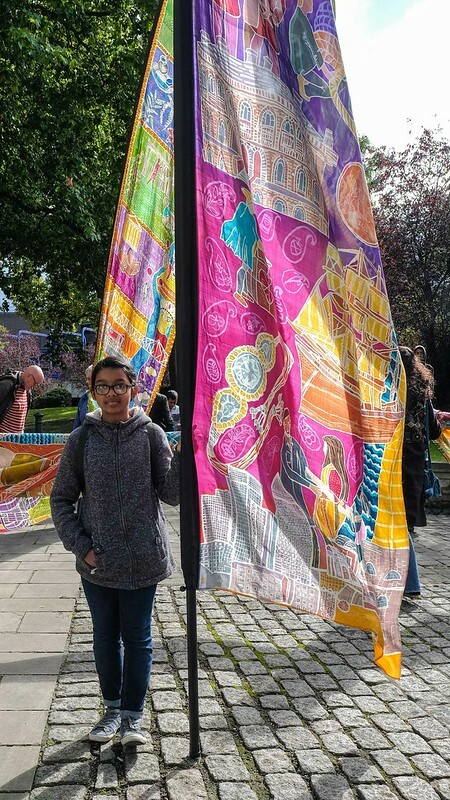 Young people have been involved in creating a high quality piece of work that profiles Tower Hamlets and its diversity across the borough in a creative endeavour. 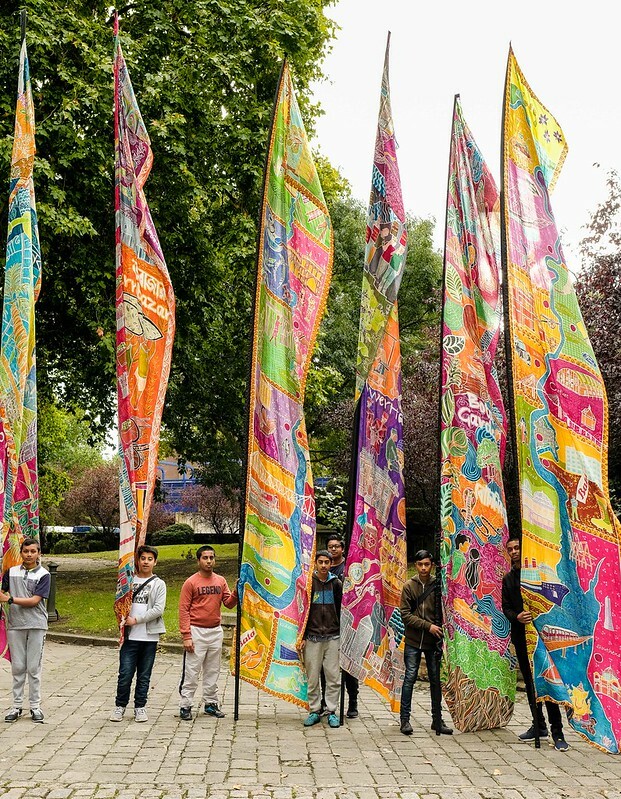 They have learnt about a new art form from the Patua artists as well as the beautiful art of batik. 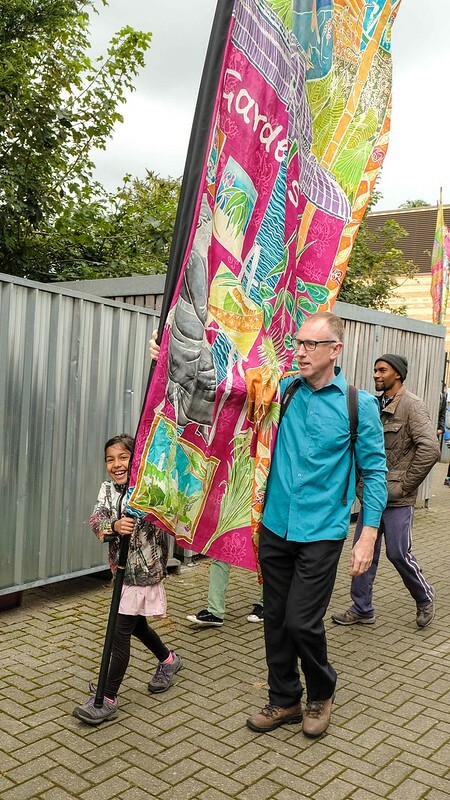 On Sat 16th Sept 9.30am-5pm, follow the silk trail in Tower Hamlets and join us for a day of performances at six historic locations. 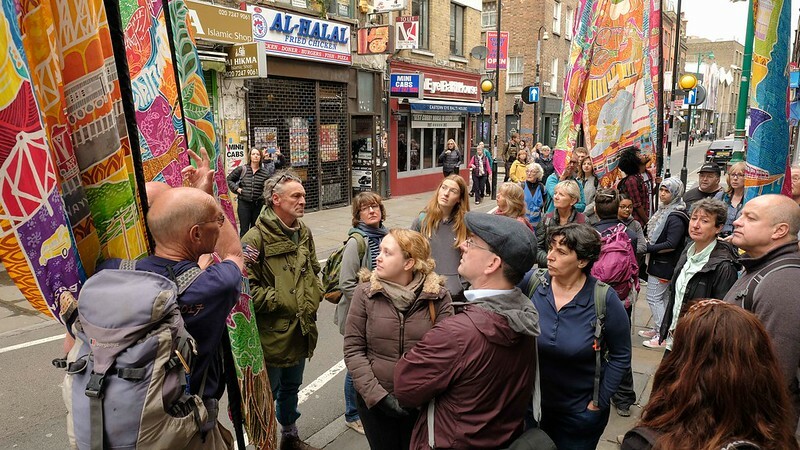 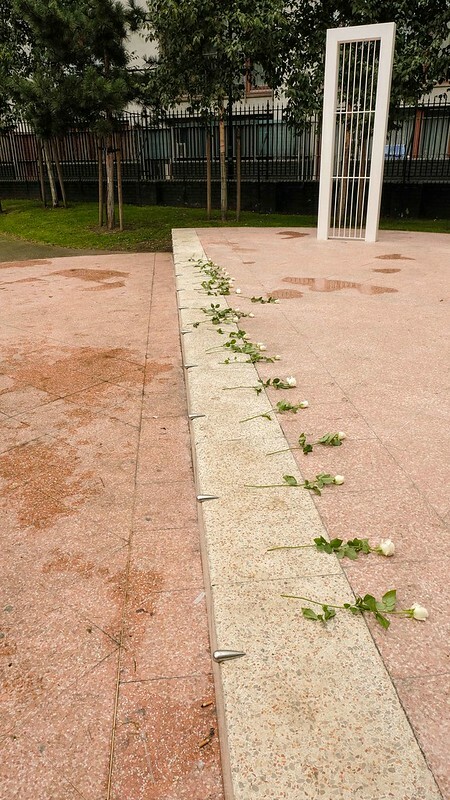 We trace the footsteps of migrant Huguenot silk weavers through the grand houses in Fournier St, past the rag traders in Brick Lane and on to the park dedicated to the memory of Altab Ali – a symbol of the anti racism movement. 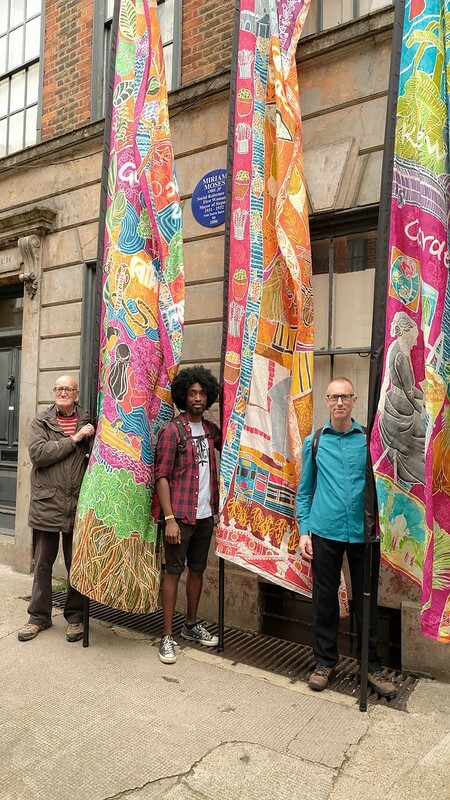 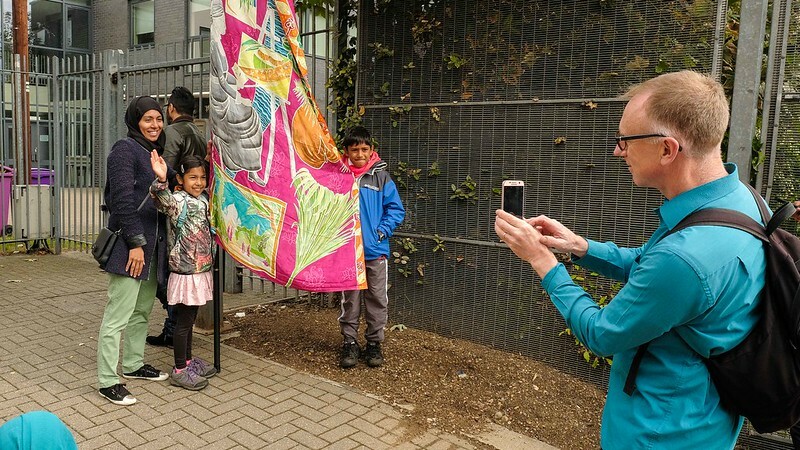 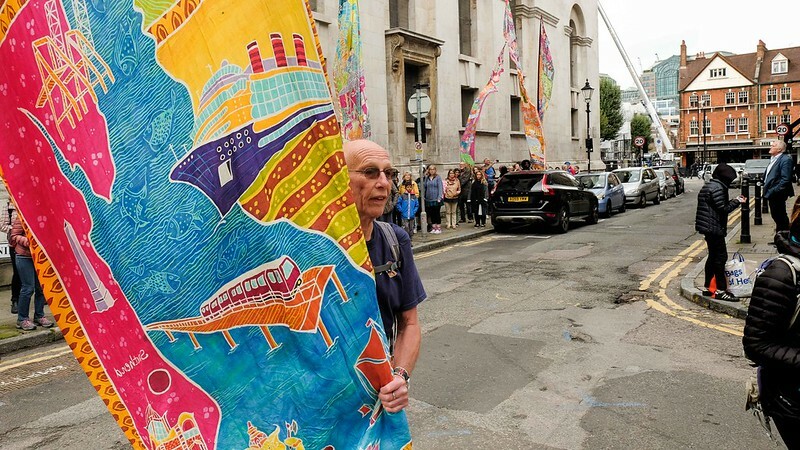 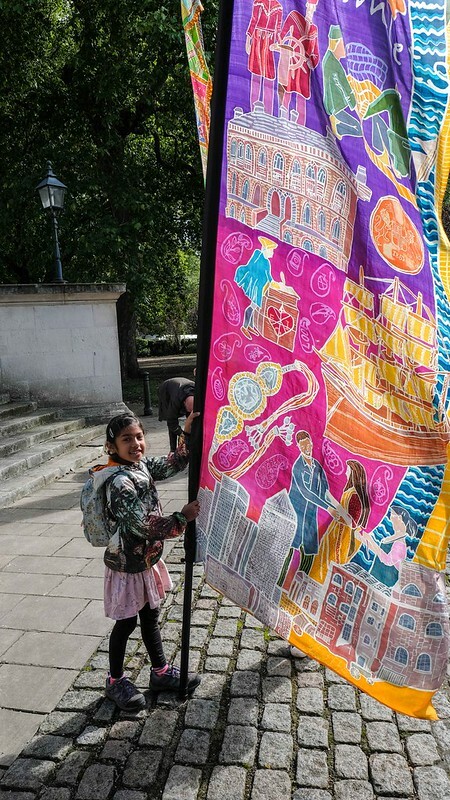 At the site of the ‘strangers home’ learn about the lives of the East India Company lascars and their protests, and visit the church of the East India Company; We will weave their stories together through textiles, and performances from today’s younger generation of these aspirational communities.